A 3-year-old sea turtle was found at a beach near Induruwa, Sri Lanka. It was severely injured by a fisher net. The turtle’s one leg and one hand had to be cut off in order to make him survive. Although his life was saved, he will never get a chance to go back to the sea. There is no place for a “weak” turtle in the rough ocean where several threats await. He will spend the rest of his life at a conservation center. “At least he got a chance to survive. Hundreds of turtles die because of fisher nets, plastics, pollution and other problems. Not many are lucky to get support on time,” said Johnny, a worker at the Induruwa Conservation Centre. 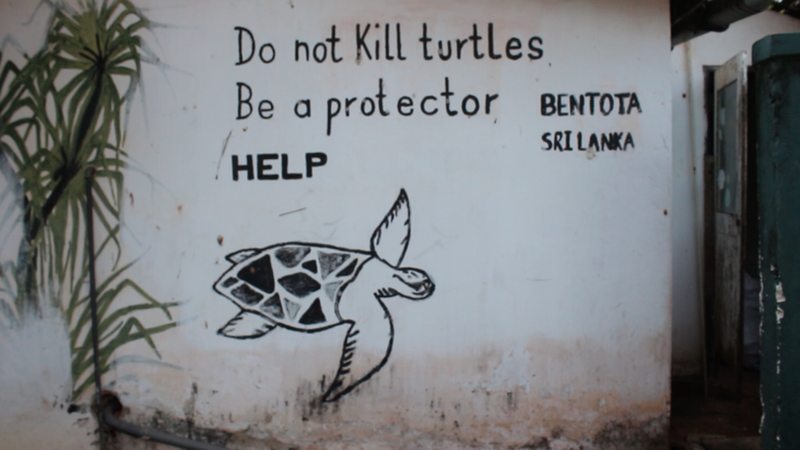 The organization was started by Mr Percy after the tsunami to save the critically endangered species of these turtles. The biggest threat to these turtles are humans. Even before these tiny beings are born, turtle eggs are stolen for commercial sale or personal consumption. Some people eat the eggs for their protein or purported medicinal value. Sometimes, lizards and stray dogs dig up the turtle nests and eat the eggs. 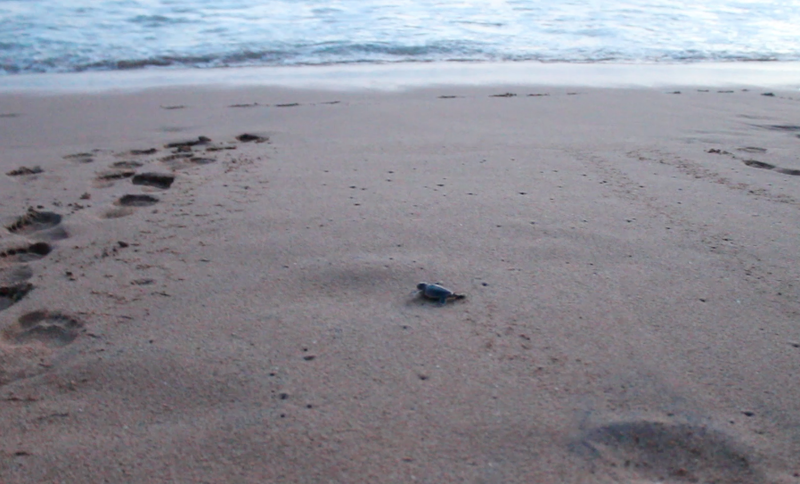 Even if the eggs hatch and tiny turtles start their journey in the sea, it is extremely difficult for them to survive. Johnny says that only about less than 10 percent of the total baby turtles survive after being released in the sea. They are an easy prey for many sea birds and fishes. Also, many conservation centres are doing more harm than good to these turtles. Many hatcheries keep these turtles for a couple of days to attract tourists. They cram these turtles in a small cemented pond of sea water and do not release them on time. These turtles keep swimming in this small pond and waste their precious energy, which they could have used to swim to safety in the big sea for a couple of days. This is why when these baby turtles are finally released, they have very little chances of survival. It is fine to protect eggs where they are laid. But when the eggs are taken away and hatched in another place, the temperature under which the hatching takes place differs. As hatching temperature determines the gender of the turtle, the gender balance of the turtles is affected. In addition, many conservation centres have made it a money-making business. Many tourists pay money to release these turtles in the day time not knowing this can be extremely dangerous for the species. Turtles are usually born at night so they have a better chance of swimming away without being eaten. “The turtles have to be released after sunset. They shouldn’t be kept in the centre for too long either. But not many hatcheries follow this,” said Mr Percy, founder of Induruwa Sea Turtle Conservation Centre. The eggs take around 50 days to hatch, and the hatchlings make their way to the sea as soon as they are born. As these tiny turtles make their way into the ocean – born just a few hours past – they must avoid crabs, stray dogs, fishes, sea gulls, sharks and other dangers. Turtles have been living on this planet for millions of years. There are seven species of sea turtles in the world. And all of them are endangered. Therefore every egg, every hatchling, and every turtle is crucial to the survival of the species. Conservation centres like Induruwa are taking tiny steps towards giving these turtles a better chance of survival. 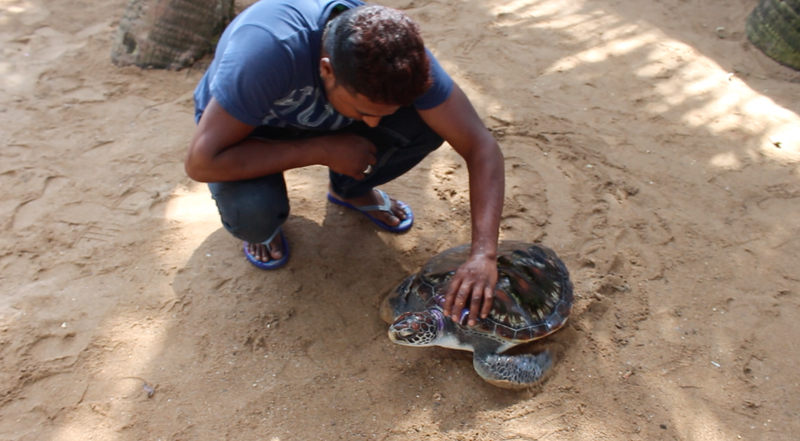 Another hatchery in Bentota, Sri Lanka has been hand feeding a blind turtle for many months and will continue to do so as long as the turtle survives. “We found him in a poor condition on a beach. We did some tests and found out he is blind. He can hardly eat by himself. We hand feed him every day. We can’t release him back in the water; he won’t be able to survive,” says Chaminda, a 17-year-old volunteer at the centre. The situation gets even worse when the turtles get stuck in fishing nets. Many fishermen cut these turtles in order to save their nets, leaving these turtles handicapped. 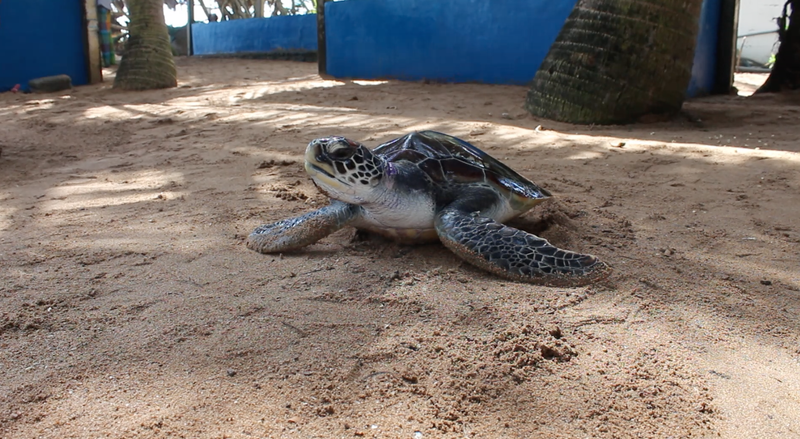 These injured animals are treated at these conservation centres and then released back into the sea. Many of these conservation centres survive on donations in kind and the small fee they charge from tourists. “We don’t take monetary donations often. 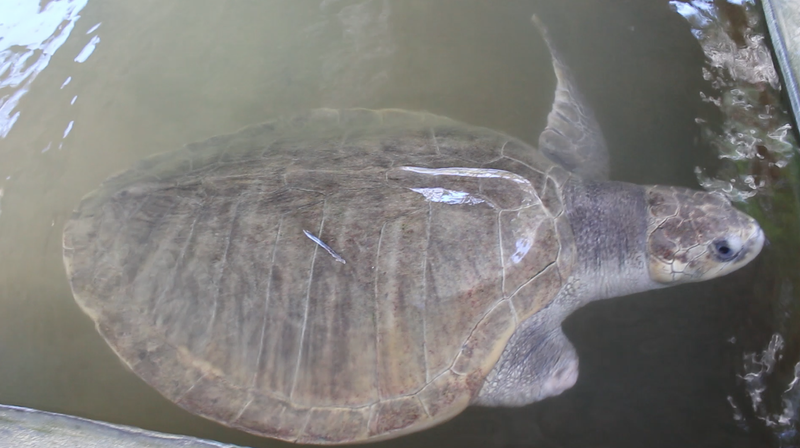 We generally ask people to buy medicines and other things for these turtles,” said Johnny. This conservation centre also goes to different schools of Sri Lanka to spread awareness about the endangered species and why people should not steal their eggs. “I didn’t know about sea turtles and their eggs. I even ate them a few times. But I visited a conservation centre once and understood the severe challenge these turtles are facing. I went home and asked my parents not to eat sea turtle eggs. If people don’t know what to do how can they help in conserving the turtles? There is a need to spread more awareness about the topic,” said Ramesh, a 13-year-old student from Colombo. These conservation centres are constantly looking for volunteers and support from people to keep running. You can reach out to them and provide them with much-needed help so that these wonderful species can live longer. Check out their website and blog to support their cause and know more about their work.